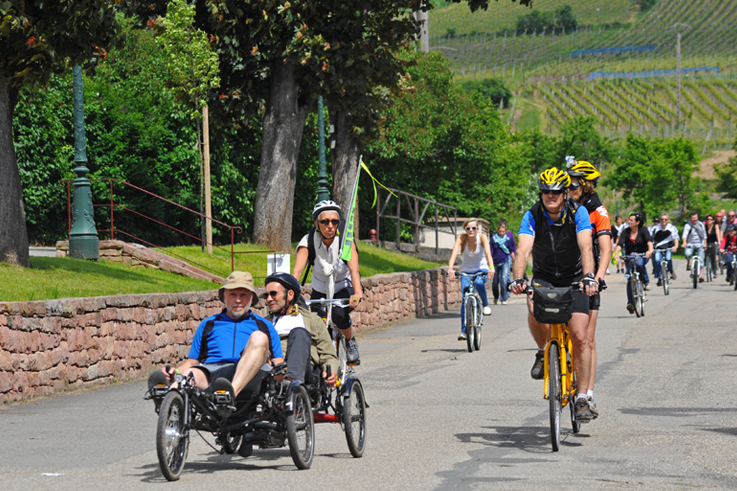 SlowUp invites you to discover the Alsace Wine Route for a day ... on bike, pedal scooter, or on foot. Wine and fine-food tastings as well as many other different activities are interspersed along the route for the whole family to savour and enjoy. 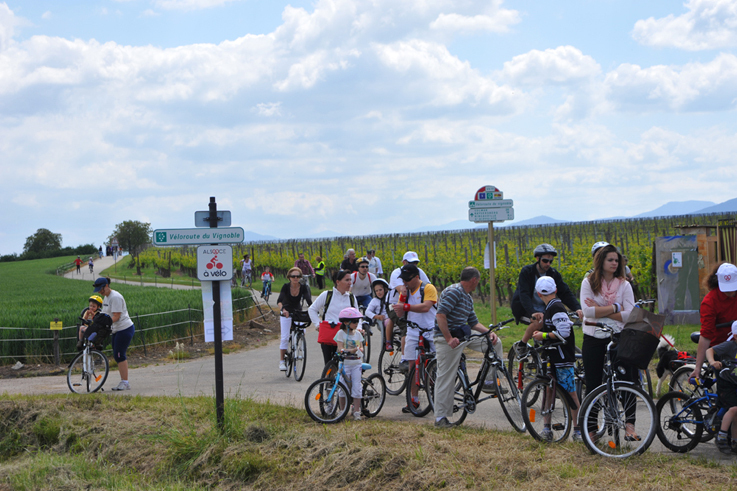 The roads are closed to cars for a day to allow walkers, bikes, pedal scooters and roller skaters to enjoy the Alsace Wine Route. There are three different routes you can take, ranging from 8.2 to 31 km in length. Each person goes at their own pace ... this is not a race! Taste the local fine foods and wines in a musical atmosphere with fun activities for the children in the villages at each stage of your route. Don’t forget to wear white in honour of the Alsace wines! On the wine route and the bike route of the vineyard, between Sélestat, Châtenois and Bergheim. Celebrating the Alsace wine route!